Conjunctivitis is swelling or infection of the membrane lining the eyelids. Conjunctivitis is caused when the conjunctiva is exposed to bacteria and other irritants. Most cases of Conjunctivitis are caused by viruses. Viral Conjuctivitis is more commonly known as “pink eye” and is easily spread, especially among children. Other causes of Conjunctivitis include allergies, bacteria, chemical exposure and even contact lenses. 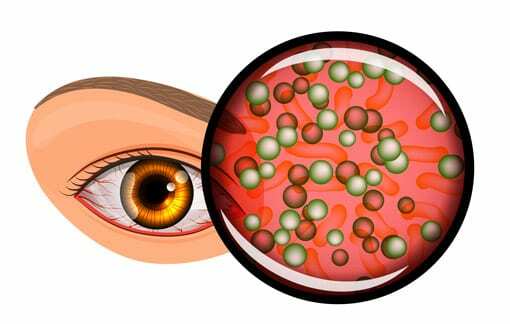 The treatment for Conjunctivitis can vary depending on the cause. Allergic conjunctivitis may respond to allergy treatment. We encourage you to schedule a consultation with Triad Eye Institute today. During our meeting, we will advise on whether or not you have Conjunctivitis, as well as compose a custom treatment plan designed to achieve the clear vision you’ve always wanted. Call our office today and one of our seasoned staff members will be able to assist you.